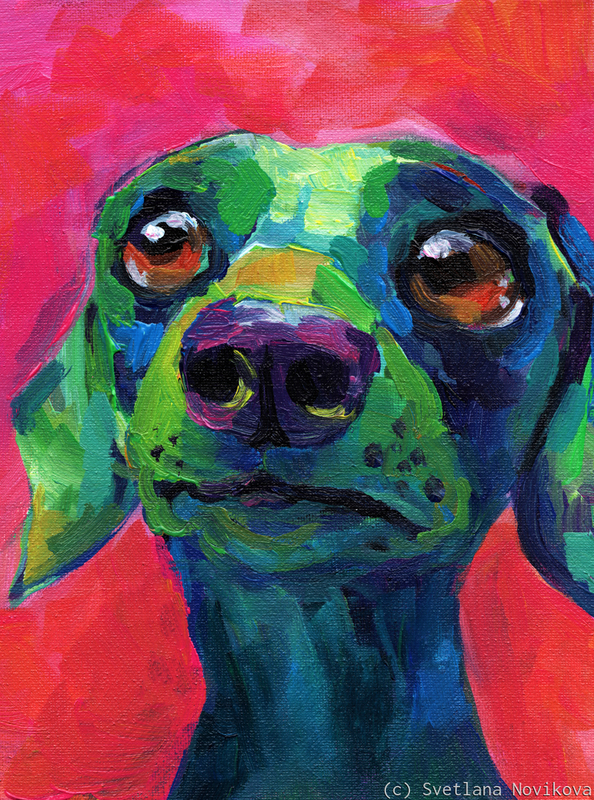 Colorful wiener Dachshund dog, acrylic on canvas, 8x10, signed by Svetlana Novikova. Copyright (c) Svetlana Novikova. Colors may look slightly different on your monitor. Original is currently available for sale. I am available for custom pet portraits from your favorite photos. 6.75" x 5"12" x 9"17.5" x 13"23" x 17"28.25" x 21"32.5" x 24.25"